Too bad the crystal-encrusted shoes don’t come with a real-life prince. Lily James stepped out for the Berlin Film Festival premiere of Cinderella on Thursday, clad in a rose silk Christian Dior strapless gown fit for a princess. Underneath her skirt, she flaunted the first look of the exclusive Jimmy Choos commissioned for the film’s release — a classic Jimmy Choo stiletto, hand-encrusted with hundreds of crystals, producing a shimmering otherworldly effect. 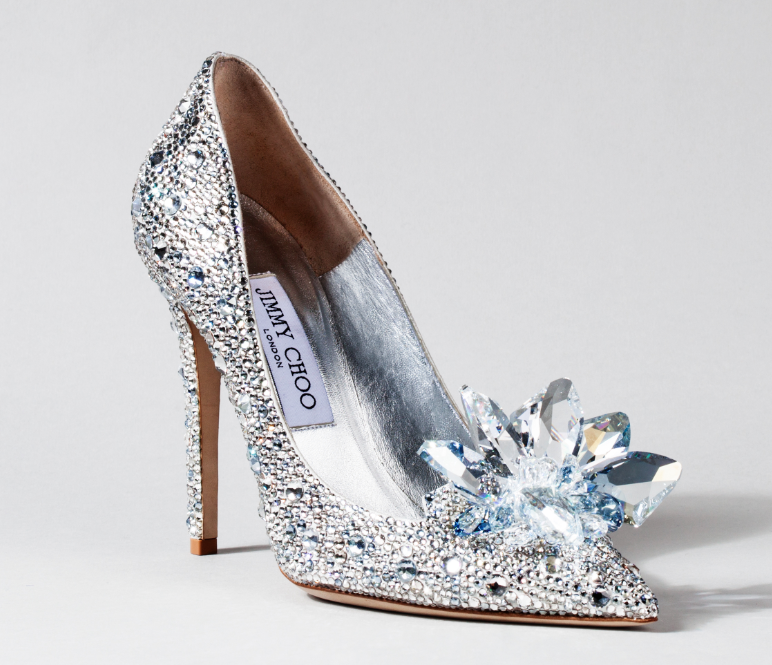 On the toe, an explosion of one- and two-inch crystals arranged like a bouquet. Rebecca Corbin-Murray, James’ stylist, presciently posted on her Instagram of text that read, “Cinderella is proof that a pair of shoes can change your life,” tagging her client, as well assharing a close up of the shimmering kicks. The Jimmy Choos are among a number of exclusive designs commissioned by Disney for the film, along with creations from Paul Andrew, Alexandre Birman, Manolo Blahnik, Rene Caovilla, Salavatore Ferragamo, Nicholas Kirkwood, Christian Louboutin, Charlotte Olympia, Jerome C. Rousseau and Stuart Weitzman, which are now on display at the Berlin Film Festival. If you are coveting your own pair of Cinderella shoes, you can head to Saks Fifth Avenue in Beverly Hills or New York in early March, which, like Cinderella, you will be fitted for your own pair in person. Prices range from $795 to $4,500. As for James, we are wondering which pair she’ll wear next.